David Hull brought this photo to the East Side History Club’s October meeting. We know where it was taken and what well-known landmarks are visible — but what fun would it be if we told you? Leave a comment with your best guess: what is the intersection shown? What is the building with the stacks in the foreground? What institution is visible slightly above and left of center? David Hull brought the above artwork to the Club meeting on Oct. 16th. 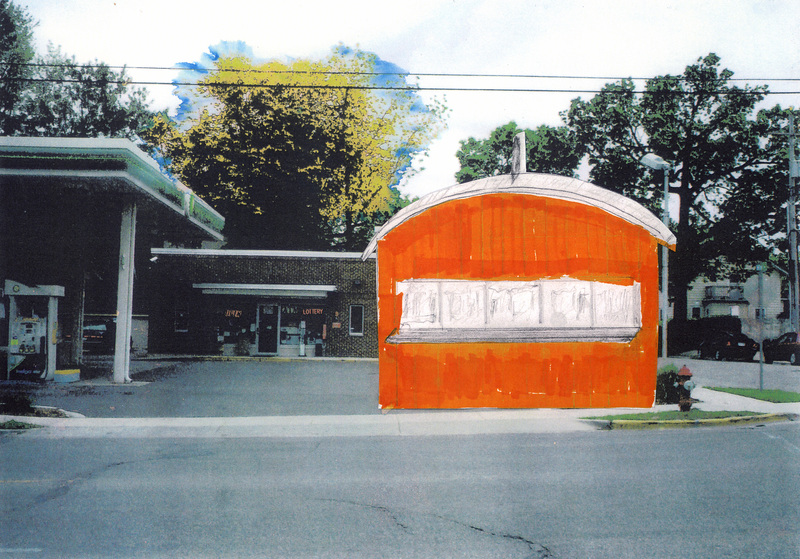 He would like to find a real photo of the Polar Bear Root Beer Stand that stood at the corner of Atwood and Miller but so far none has turned up — so-he drew the stand from memory and pasted it over a photo of the BP gas station that is on the corner now. The most obvious characteristic of the building is that it was a metal building created by the Trachte Brothers Company of Madison. Using the Madison City Directories it seems that Ross Woodhead had a tavern on the corner of Atwood and Miller in 1939. By 1941 he had moved across the street to what is now the parking lot next to Madison Kipp and nothing is listed for 2801 Atwood. From about 1943 through 1956 the Polar Bear Root Beer Stand is listed at 2801 Atwood Ave. Some of the owners were Henry Bartsch, Otto Chirstensen and Frederick Christian. In 1957 the site was “under construction” and by 1958 the Clark Service Station had been built. 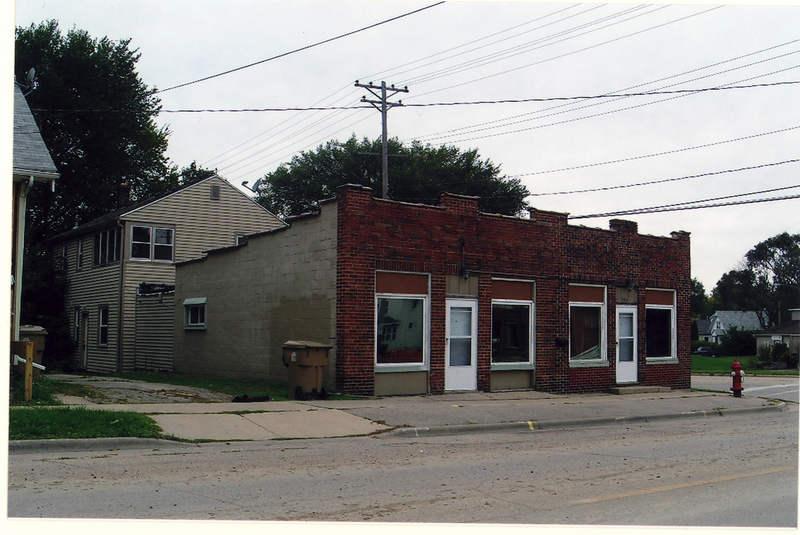 Does anyone have a picture of the building and/or themselves drinking root beer in front of the building? David says it was also a drive-up. Any pictures of the car hops serving root beer? Map from 1941 Madison City Streets dept. At the time this area seemed to me to be on the edge of the city, and it was! Most children in this area went to Emerson School. The Findorff Company began construction of the school in 1918 using bricks from the Gerstenbrei brick yard which was on the corner of East Washington Ave and North Street. The beautiful woodwork is oak and old leaf room numbers adorn the top of the doorframes. The Eken brothers, Ole and Thomas, owned about 140 acres in the Town of Burke, north of Commercial Ave. There were cows on the Eken farm in the earl 193’s. 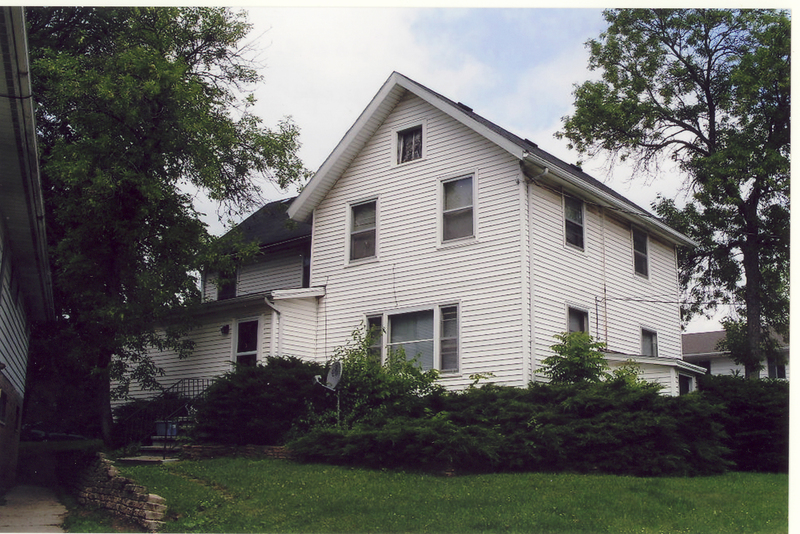 The big white home of the Eken brothers still stands on the corner of Dexter and Dahle Streets. The Ekens family home at 801 Mayer Ave. Photo taken in 2010 by Joan Phelan. In 1927 the Ekens sold some of their land to Midwest Air Transport Co. for Madison’s first airport, subject to the right to harvest the crops. When the circus came to Madison it performed on the Eken property for many years. I remember sitting on the North Street curb in the summer to see the circus wagons go to the end of North St. where they set up their tents. In March of 1927, residents petitioned to have the area become part of the city. The state board of health told of the serious unsanitary conditions in the plat due to the low marshy surface of the ground. The drinking water was coming from shallow wells. 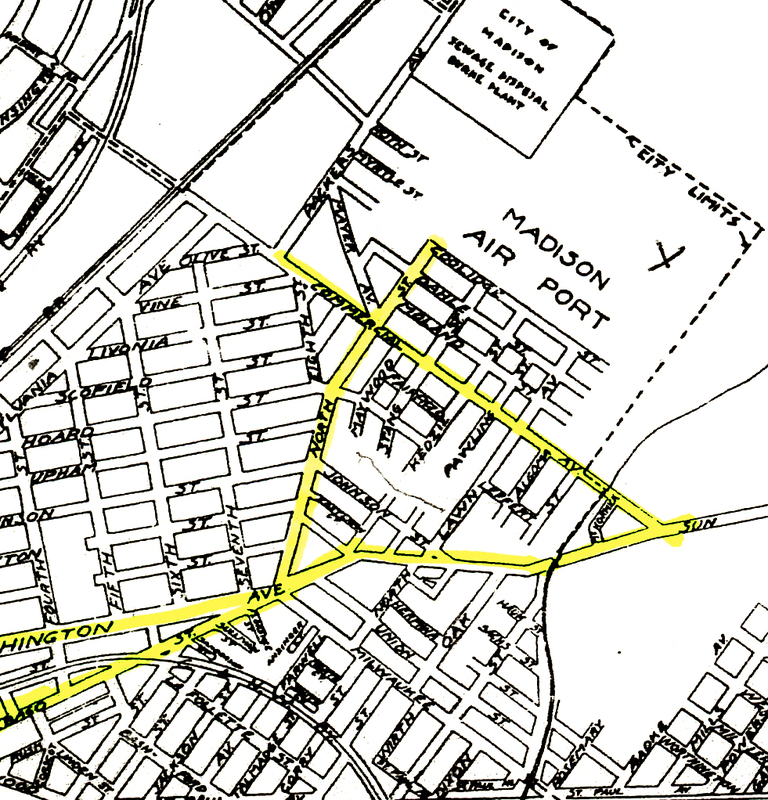 In July 1927, Madison made Eken Park area part of the City of Madison. In 1943, 40 identical homes were built on Coolidge Street. In 1946 after WWII, 120 homes for veterans-only were built on Myrtle Street. Frederick Stang and his son Sebastian were market gardeners and owned three pieces of land; one was along Commercial Ave bordered by Oak Street and the Starkweather Creek. Adolph Stang, son of Sebastian, lived in the family home at 539 North Street and operated the truck garden with his brother George. When in grade school my schoolmates and I often cut through the Stang farm from Hoard Street to Johnson Street; the path would later become an extension of Kedzie Street. “Happy” Suzuki, a Japanese gardener who worked for the Stangs, would see us coming and give us carrots and radishes, which we ate after brushing the dirt off. 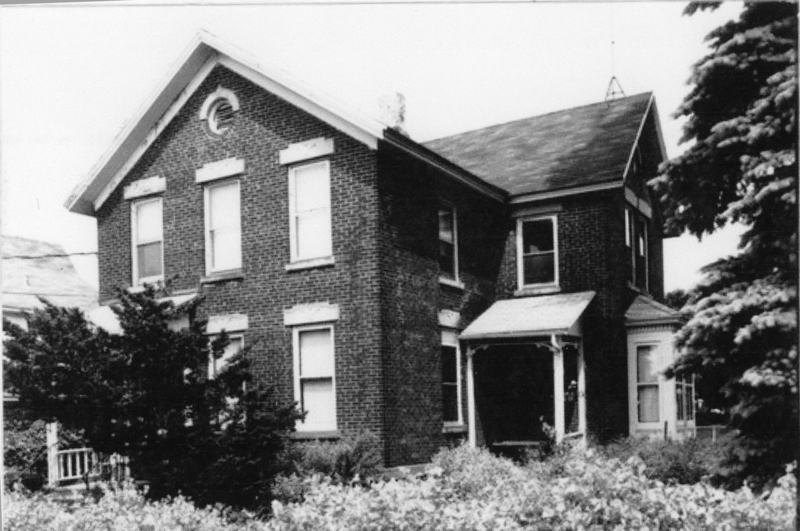 Stang family home, 539 North Street. 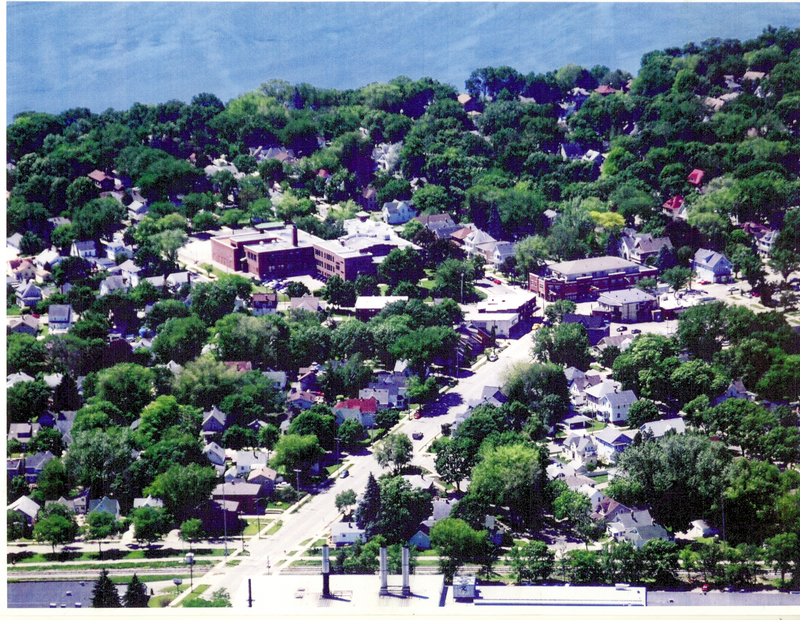 Photo taken in 1983 by Wisconsin Historical Society. Sometimes I walked home from school on North Street and passed three groceries; The Royal Blue [422 North St.], Irene’s [560 North St.], and the Eken Park Grocery [602 North St.]. I didn’t have money to buy anything but my neighbor Ellen Borland usually had a few cents for candy. There was another grocery called the Commercial Avenue Grocery [2633 Commercial Ave.] run by Steve Offerdahl. During WWII many things were scarce but for kids it was bananas. They hung on a hook in the window of the store and when we saw them we would call home to report it. Another well-known store was the Stevens Supermarket, owned by Rudy Stevens, at 301 North Street. Rudy also opened a restaurant across the street at 2565 E. Johnson St. By the 1950’s he had lost interest in the restaurant end of the business and decided to expand its gift shop into Stevens House of Gifts, which opened in 1961. In 1978 the Supermarket became a restaurant, Stevens Sandwiches, run by his son Robert. Irene's Grocery, 560 North St. Photo taken in 2010 by Joan Phelan. 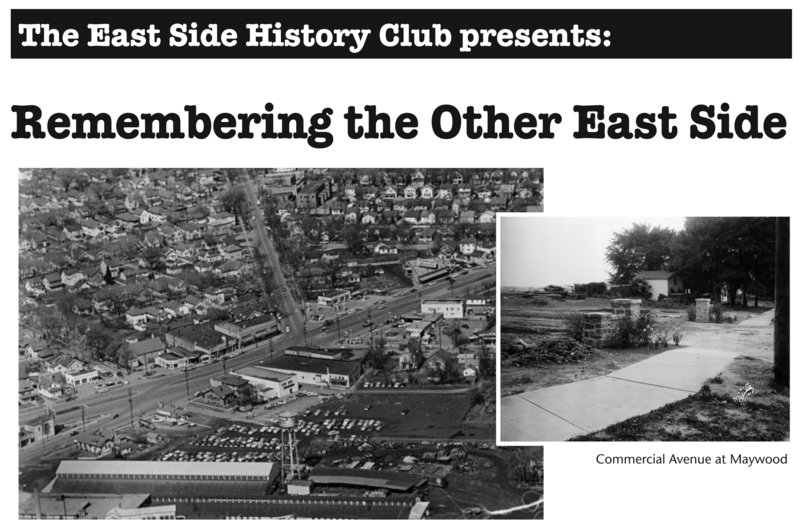 Bring your memories and invite your friends to share what life was like on the other side of East Washington Avenue. We’ll meet at the Goodman Community Center, 149 Waubesa Street, Saturday October 16th 2–4 pm. $2 donation welcome. Photos courtesy of the Wisconsin Historical Society. Check out their archives for more East Side scenes!